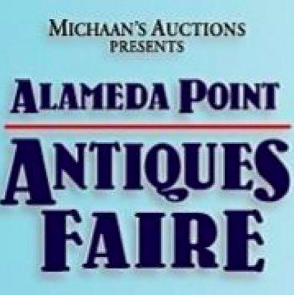 The Alameda Point Antiques Faire is the largest antiques show in Northern California. Held on the 1st Sunday of every month, the Faire boasts over 800 Dealer booths. All items are 20 years old or older. Our faire is the ultimate place to shop for vintage and antique home decorations, clothing, furniture, jewelry, art, pottery, books & collectibles. Sorry, NO PETS per our Use Permit.